Air Conditioning Service Lee’s Summit: Did Your A/C Stop Blowing Cold Air? Dirty/clogged filters — Dirty filters can block airflow, which means less cool air being pushed through your vents. Fortunately, this is an easy fix, so start by checking them and replacing dirty filters. Condenser problems — The condenser is the large, box-ish part of your HVAC unit that sits outside. It is responsible for pulling warm air from inside the home and pushing cool air back inside. If it is dirty, the condenser may not work properly and can explain why your system is running, but there isn’t any cold air. Sensor/electrical issues — The thermostat plays a major role in temperature control. If something goes wrong with the wiring or a sensor stops working, your thermostat isn’t able to send the right signals to the rest of the system. Low refrigerant levels — Refrigerant is responsible for the actual cooling effect your air conditioning system has. If your system is low (or completely out) of refrigerant, air will still circulate through the system but not end up cooled. As you may have gleaned, some of these issues are easier to repair than others. Replacing your air filters, for example, is generally a quick and painless process; the hardest part is remembering the filter size you need when you go to the store. If you’re a little bit handy, you can probably also handle cleaning the condenser. To do so, you’ll need to unplug or turn off power to the unit, unscrew and remove the protective cover, then remove any debris gumming up the works. Carefully brush and/or rinse out the fins; however, take care that you don’t bend the fins, or you could cause even more costly damage to the unit. Sorting through thermostat issues, wiring concerns, or refrigerant levels, on the other hand, can be harder. Unless you have a decent amount of electrical and technical know-how, handling these repairs should be left to the experts. 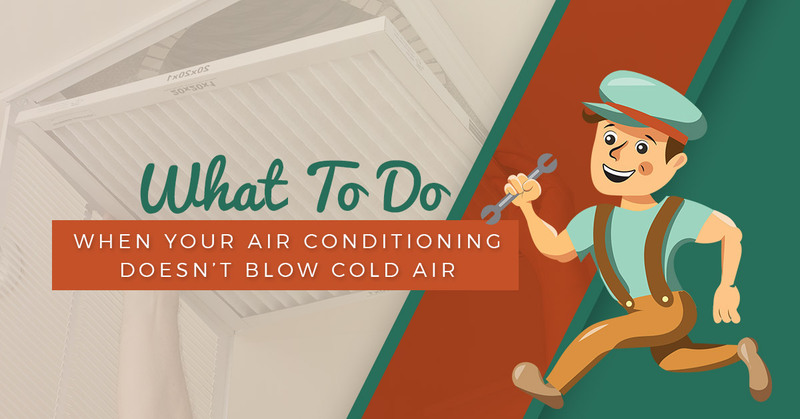 If you’re unsure what you’re doing, or where the problem lies, your local air conditioning service company can provide the expedient expertise needed to get the cold air flowing again. If your A/C is on the fritz in Lee’s Summit or surrounding areas, contact Comfort Pros Heating & Cooling today.